Each year the 6th grade team hosts an open house a few days before school begins for 6th grade students and their parents. 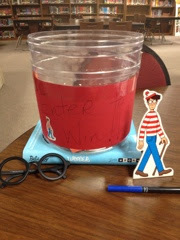 This year, inspired by Candlewick's Where's Waldo Indy bookstore search, our open house had a Waldo theme! Instead of all the students sitting with their family for the hour while our principal goes over all the "boring stuff" (sorry Shawn! 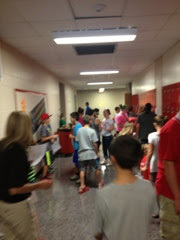 ), we decided to split them into small groups and send them on a tour/Waldo hunt around the school. 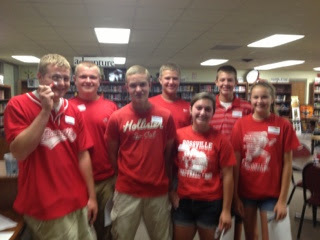 Each led a group on a brief tour of RMHS, stopping at key locations like the library, the office, the gym, the computer labs, core classes, as well as the locker hallway. 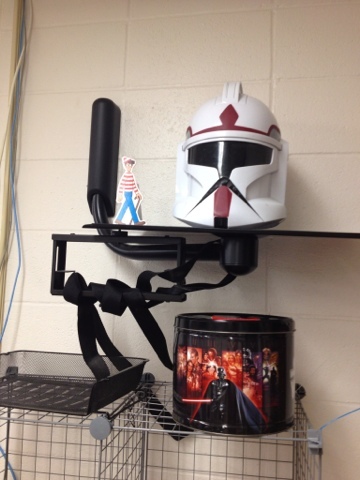 Each location was marked with a Where's Waldo poster for searching fun and as a visual reminder for students to see during the beginning weeks of school. Core classrooms (English, Math, Science, Reading) had a small Waldo figure hidden in their room for students to search and find as well. 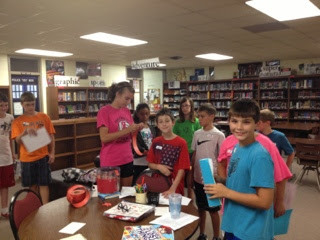 Students stopped in the library and entered to win a copy of Wonder, our 6th grade read aloud for the beginning of the school year. 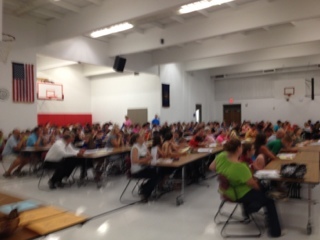 All in all, it was (hopefully) a great introduction to RMHS for our 6th graders! 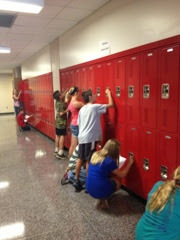 3 weeks later and I hear some students (and teachers) are still looking for Waldo (& friends) in the posters! 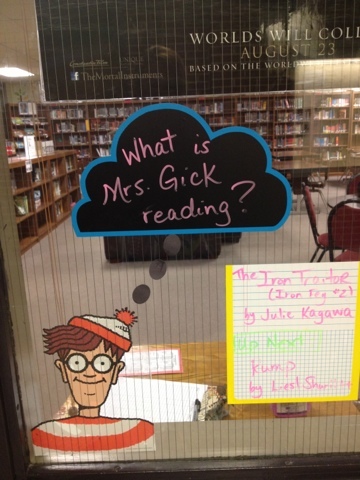 Waldo will be announcing my reads from the library window all year long. 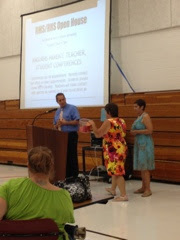 Many thanks to the 6th grade teachers & principal who are always excited to try new ideas & are used to me saying..."What if we...?"